The evening was blazing hot. I was in the middle of mixing myself a bourbon with ginger beer on ice while Michael busied himself cooking our dinner. Calvin was screeching and spinning in his johnny-jump-up. He’d had an off day, whining a lot at who knows what. When I turned to check on him I saw that he was jackknifed in his jumper, his contorted limbs rhythmically pulsing. “Oh no!” I cried, as Michael and I ran to his side and began prying his stiff body from the jumper, the crotch of which was wedged tightly between his rigid legs. I had a hard time telling if or when the seizure was over, except for that he had begun breathing again. I gave him several drops of cannabis oil since, even though the color in his face had returned, he continued to twitch and flinch like a tortured bug. Within minutes the spasms had subsided and he fell asleep on the couch. 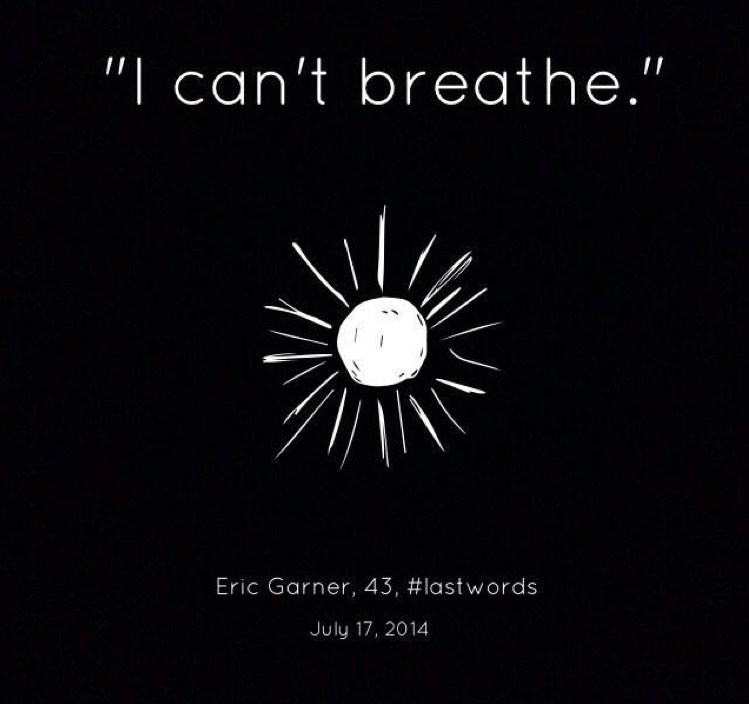 Around the same time, a man named Eric Garner and a man named Michael Brown also stopped breathing. The seizures continue to batter my son every six to nine days, though now they occur almost exclusively in the middle of the night. Calvin had a couple of grand mal seizures two nights ago, but I'm confident that if in their aftermath I hadn't given him extra doses of my homemade cannabis oils while lying in bed next to him he'd have suffered a third one. Epilepsy is relentless. The seizures and the pharmaceutical drugs used to treat them rob our children of meeting their full potential, of living life to its fullest and often make them feel horrible. It pains me to see Calvin suffer, particularly when there seems to be nothing I can do. Try as I may, the seizures continue their steady assault on our ten-year-old son's brain and body. Our only hope in stopping the battery, it seems, is to continue giving Calvin an herb—cannabis—which is illegal at the federal level. In doing so we are essentially breaking the law. Luckily, I am insulated by a state law which sanctions the use of medical marijuana ... plus the fact that I am white. it's not real. i don't have a gun. stop shooting. officers, why do you have your guns out? please don't let me die. what are you following me for? mom, i'm going to college. why did you shoot me? i love you too. i can't breath. Some of you might wonder why I continue to write about racism in a blog largely dedicated to motherhood, epilepsy and disability. Some of you might be fatigued by the rash of stories in the news and peeved by the talk of racism, by the inconvenience and violence of protests, by the lingering frustration and fury over the grand jury failures to indict the white police officers in the Michael Brown and Eric Garner killings, uncomfortable because of the Facebook posts condemning racism, police brutality, riot gear, racial profiling and the videos showing police assaults. Maybe you're sick of it all. Maybe you wonder why I continue to fuss about it. I'd say those are white-world problems, and I'll tell you why: Because as someone who feels deep despair, anger and hopelessness seeing my child pummeled by relentless seizures, seeing him stop breathing for minutes at a time, seeing his progress choked by vicious drugs and to be always fearful of the next attack thinking it might be his last, I shudder to imagine what it must feel like to be a person of color today and to suffer under a system built to oppress them, to mother a child who will no doubt at some point in his lifetime be wrongly profiled, targeted, pulled over, frisked, suspected, feared, questioned, blamed, arrested, charged, beaten, incarcerated or murdered by white law enforcement officers and a white criminal justice system, to live in a country where most white people deny that racism exists or is at the root of these kinds of wrongdoings. I write about it because it is wrong and pervasive and I love and understand my friends and it is a problem that is not simply going to disappear until white people start to understand there is a problem, until, perhaps, white people start to feel uncomfortable, which is little to ask considering what black people have had to endure for four-hundred years. The night after the Grand Jury declined to indict the white police officer who put Eric Garner in a choke hold that lead to his death, in the wake of Calvin's seizures, I laid awake lamenting the outcome and the plight of so many others and I thought about my fortune: My boy is alive. I live a life of privilege in a nice home in a safe community with a husband who has a good, steady job. We've got plenty of food, a comfortable, reliable car, good health care and money to spend—and I am white, which is not to say I am proud to be white. I can go to our local dispensary and purchase one ounce of the best cannabis bud which fills more than half of a large mason jar. I can transport it home in its white paper bag never giving it a second thought. At home, I can make it into an oil which I give to my son to lessen his seizures. I can tell friends about it. I can blog about it. I can feel relatively sure that I won't be arrested for possession and put in jail or have my son taken from me by Child Protective Services. In a different world, one in which I were black and male, would I make it past security even with my medical marijuana cards on me? Would someone call the cops because I looked suspicious since I was wearing a hoodie and I had my hands in my pockets? Would they believe I was buying the cannabis for my ten-year-old son's epilepsy? On the way home, would I be pulled over for, as some say, driving while black? Would I be harassed? Would I, in my legitimate expression of anger and frustration over the injustice, be seen as belligerent, be cited, be assaulted, be arrested, be put in a chokehold, be thrown in jail? Would they shoot me while I reached into the glove box to get the car's registration? Would my last words be, "I can't breathe"?